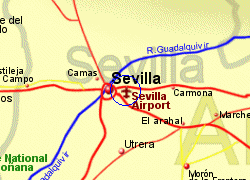 Savilla Airport is located 12Km North East of Sevilla with good access to the motorway system around Sevilla and heading west to the North Western end of the Costa de la Luz, or South towards Jerez. 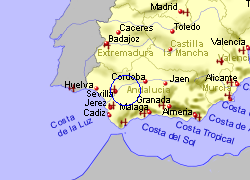 Bus to Sevilla each half hour during daytime approximately €3. 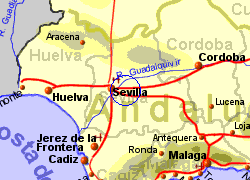 Taxis to Sevilla approximately €22.